• Easy to Use! Easy to Attach! Easy to Record! • Record the prescription number, date filled, the doctor’s instructions, and what the drug is used for. 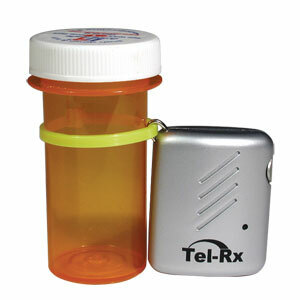 • Just attach the Tel-Rx to any size prescription bottle. • Includes six 8" ties. • 20 second recording time. • Includes 4 AG13 Alkaline batteries.